We all need tags for those special Christmas packages, why not make them yourself? Grab some tags and stamp sets and go to town. 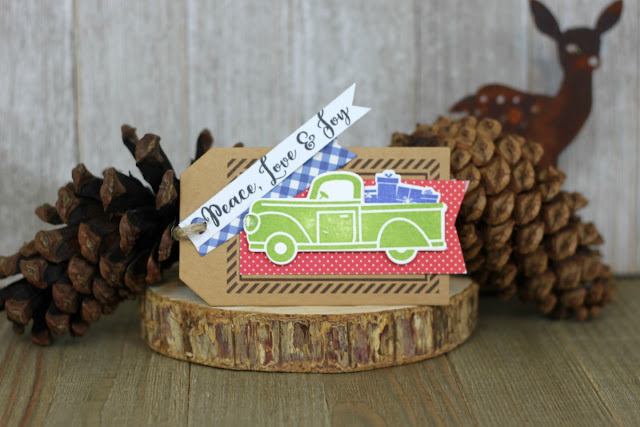 This one started with a Hampton tag and then stamped the truck, presents and the sentiment. Cut a strip for the center from red dot paper and a tag strip from the blue plaid. Add the truck to the tag using foam dots and all the rest with regular adhesive. Now attach it to a special gift and watch the magic happen! In step with this approach last months business enterprise Singapore released the Startup logo which encompasses our support tasks and Pro-Homework-Help makes it easier for entrepreneurs startups and investors to get right of entry to assistance and connect to every other via this kind of one forestall platform.